This page contains a complete price list of our Maui wedding and vow renewal packages and services with prices. If any of these prices do not coincide with the prices listed on the other web pages, then the prices on the other web pages will supersede these prices. Feel free to give us a call at 808-280-2388 if you’d like assistance with deciding on the package that best suits your needs. We start with the wedding package or vow renewal package that has everything you want, and then add to it from the list of wedding services and flowers and decor provided. You may add to the packages, but not delete from them (flowers may be substituted for other flowers). 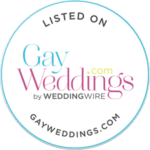 Please call for current pricing on the private wedding venues. We’ll be more than happy to assist you in putting together a custom package and email you a free proposal. We’re here to help, so just give us a call. Looking for just a minister or minister & photographer and on a budget? click here.